We’re all told that exercise and mediation can help us lose weight, reduce stress and improve our heart health. But they could also have another hidden benefit: preventing us from getting a cold or the flu. Researchers say that mindfulness meditation or moderate exercise reduced the chances of getting sick by nearly 30 percent. And the adults who did get sick, but engaged in either activity, had less severe symptoms, missed fewer days of work and paid fewer visits to the doctor than those who did neither. The team, from the University of Wisconsin-Madison, says it hopes the results lead to doctors ‘prescribing’ one of the activities to their patients in addition to the annual flu shot. For the study, published in the journal PLoS One, the team looked at nearly 400 adults between the ages of 30 and 69 between 2012 and 2016. They were divided into three groups: the first took an eight-week exercise class, the second took an eight-week meditation class and the third took neither class. None of the adults regularly exercised or meditated prior to the study and reported they get on average one cold per year. The participants took their classes between September and October and were followed through May weekly to look for signs of acute respiratory infections including incidence and duration. Over the course of the eight months, there were 112 cold and flu episodes among the mediation group, causing them to miss a combined 73 days of work. Among the exercise group, there were 120 cold and flu episodes, which made them miss 82 days of work. But in the control group, there were 134 respiratory infection episodes, for which 105 days of work were missed. There were also fewer visits to a healthcare professional among the meditation and exercise groups. While the meditation and exercise groups had 22 and 21 healthcare visits, respectively, the control group had 24 visits. The authors also calculated the average economic cost – including the lost days of work and insurance co-pays – for each faction. The exercise group lost about $119 from illness and the mediation group lost about $140 compared to $163 for the control group. From these evaluations, the mediation group did about 27 percent better and the exercise group did about 17 percent better than the control group. The researchers also noted that the meditators and exercisers showed improvements in their quality of sleep, stress and general mental health. ‘More research into the benefits of exercise and meditation is warranted, maybe in higher-risk or sicker populations, where there are more health benefits to gain,’ wrote lead author Dr Bruce Barrett, a professor in the department of medicine and community health at UW-Madison. 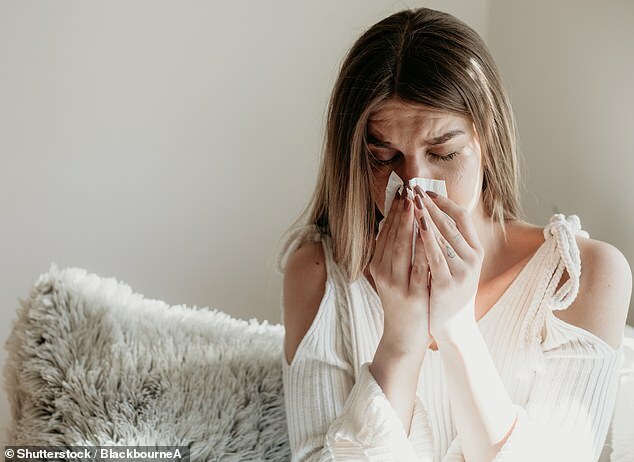 The new research follows up on a past small study conducted by the team in July 2012, which found that meditation or exercise could reduce cold and flu episodes between 30 and 60 percent. Doctors say this year’s flu shot is more effective than last year’s and are urging the public to get their flu shot if they haven’t already to prevent skyrocketing infection rates like those of the 2017-18 season.